“Intro:This idea stems from attempts at cutting aluminum at more aggressive rates which often led to melted aluminum on an overheated bit. This coolant system allows for both increased feed/cut depths and prolonged cutting tool life. 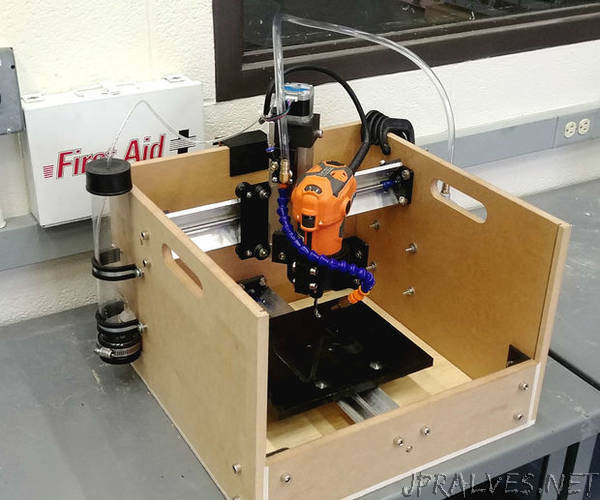 The design aimed to keep the mill portable by mounting all components to the mill itself and using an air pump instead of depending on an air compressor (with the pump running significantly quieter). Designed for the Sienci Mill One, it could easily be adapted for most compact CNC mills.